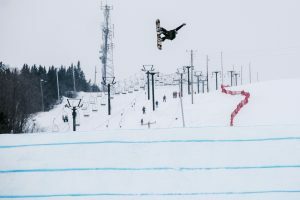 Stoneham (QC), Canada – America’s Julia Marino and host country favorite Sebastien Toutant claimed victory in the penultimate slopestyle World Cup event of the 2016-17 season, which was staged at Stoneham Mountain Resort on SUnday as part of the 2017 Jamboree presented by Vidéotron Mobile. 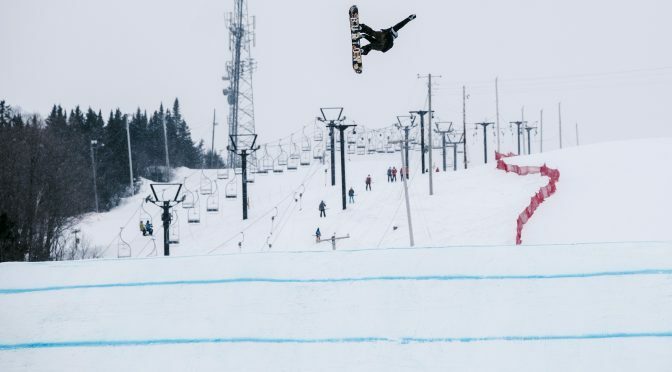 Facing flat light and some challenging conditions, Marino — who placed second in Saturday night’s big air final in nearby Quebec City — secured her career’s second victory and her first in slopestyle, thanks to her first run in the two runs, best one counts finals to earn a score of 76.43. Marino led a 1-2-punch from the U.S. team, with Olympic champion and new slopestyle World Cup leader Jamie Anderson sitting in second position (72.78). Local favorite Brooke Voigt of Canada earned a 67.43 to round out the women’s podium in third. For the men, Canadians Sebastien Toutant (84.81) and Mark McMorris (84.60) did their home country proud by claiming a 1-2 double for Canada. Seb Toots took his career’s third victory thanks to his second run that bumped off McMorris, who won Saturday’s big air in downtown Quebec City. Norway’s Marcus Kleveland completed the podium in third. 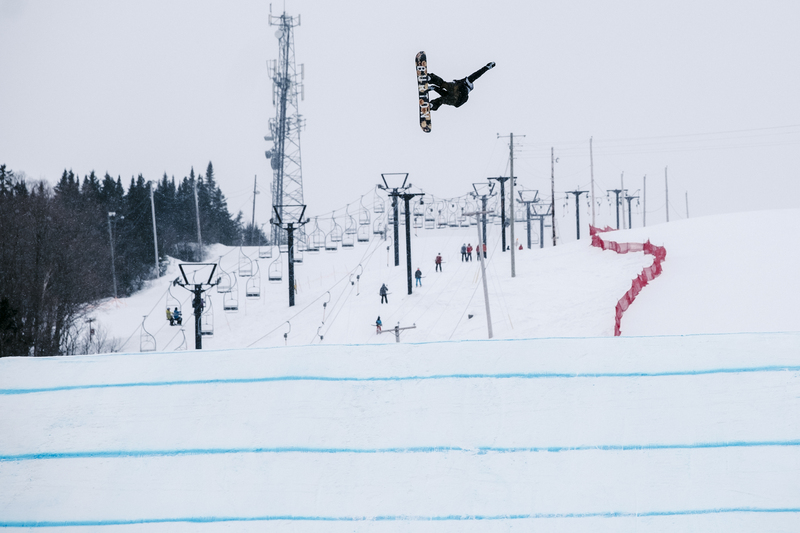 The snowboard freestyle World Cup tour will continue this weekend with the Olympic halfpipe test event staged in the Bokwang Phoenix Park Resort in South Korea, from February 17 to 19.